Are These The First Leaked Images Of The iPhone 5S? This is intriguing: leaked images purporting to be the rear housing of the forthcoming iPhone 5S have just appeared online, and if previous reports about when the iPhone 5S is supposed to enter production are correct, they could be the real thing. 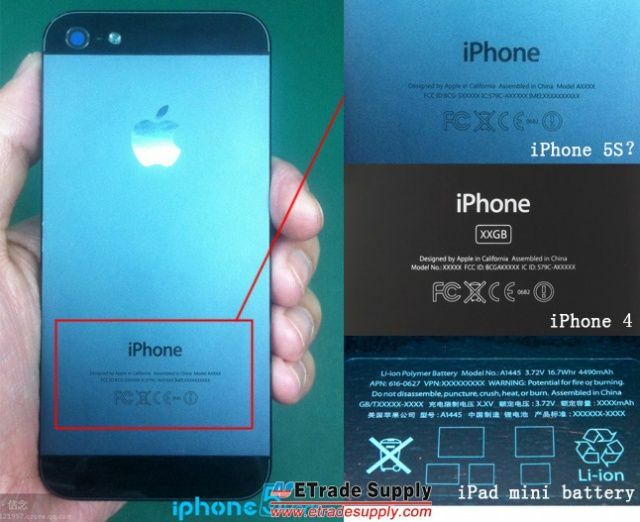 The images originally leaked over at iPhone5parts.net and were publicized by Etrade Supply. The photos appear to be a new iPhone housing photographed on an assembly line. The housing looks very similar to the iPhone 5, but several screws and other features have been slightly tweaked from the existing iPhone 5 housing, and information about the phone — including Model. No. and FCC ID: — have been replaced with placeholder information, which usually indicates a prototype. 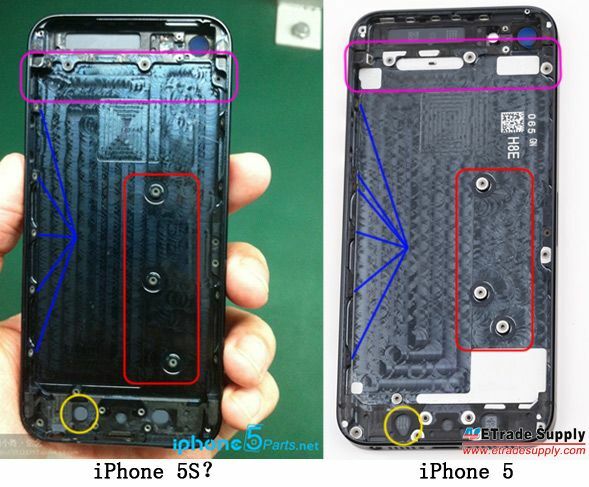 Think it’s too early for iPhone 5S parts to start showing up? We’ve already heard reports that the iPhone 5S would enter test production in December, and that it would debut in summer of 2013.